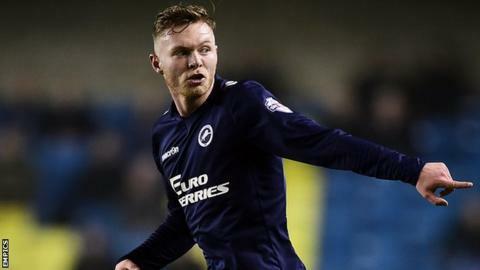 Millwall striker Aiden O'Brien will be out for at least six weeks after sustaining ankle ligament damage in a pre-season friendly. The club say the 21-year-old, who was stretchered off in the first half against AFC Wimbledon on Saturday, will miss all of their fixtures in August. "Naturally it is very disappointing," boss Neil Harris told the club website. "We hope it is just a minor set-back for Aiden and he can come back fitter and stronger." O'Brien scored two goals in 20 appearances for Millwall as they were relegated from the Championship last season and the Irishman signed a new two-year contract earlier this summer.